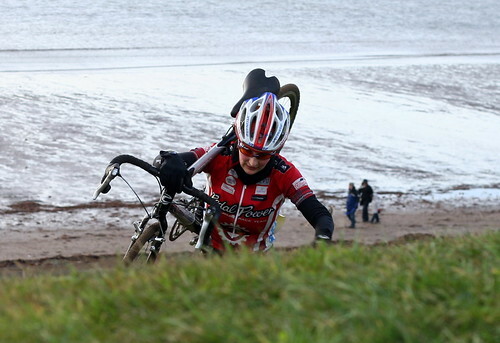 ﻿﻿﻿The 2010 Scottish Cycling Cyclocross Championships take place at Irvine Beachpark this Sunday (23rd January). Event hosts Walkers Cycling Club have been in touch with some information for you and final entry list. Car Parking and Race HQ will be at the Dragon Car Park on Marine Drive, and not where the map on the BC Website shows (that is just the only identifiable postcode locally!). The Race HQ will be signposted from the Magnum roundabout. Registration will close 30 minutes before each race, please do not forget to bring your race licence, as you will not be able to race without it! The volunteers at registration will be prioritising the riders according to how soon their race is, so please bear this in mind. 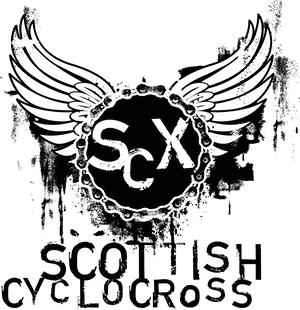 Please remember that there is no entry on the day for this race due to Scottish Cycling rules on championship events. The main course is a mixture of gravel paths, grass, moorland singletrack and of course, sand. We can almost guarantee that there will be no mud! The beachpark is popular with families, dog walkers and horse riders, and whilst the course will be double taped where possible, and crossing points marshalled, please be aware of other users when practicing and racing. For those who raced in 2009, the course has changed slightly, with the singletrack broken down into two shorter sections to allow for overtaking, and a loop after the sand dunes to bring the finish line to a slower section for timing/lap scoring. You must not practice on the course without having signed on, and without your number. There will be no practice until all racing riders have all left the course. There is a separate course for U12 riders, which will be mostly on grass and gravel path, with passing possible on the bulk of the course. This course is centred round the race HQ area next to the car park. U12s must not practice on the course without having signed on, and without your number. The start will be on a flat grassy area near to the car park, and not on the beach (as in 2009) due to the tide, and storm damage to the dune paths. Please report to the start in plenty of time to be gridded before the race. Given the seaside nature of the venue, and the time of year (let alone the current weather! ), the beachpark is a cold, exposed place, so please bring plenty of warm clothes for yourself & your helpers/supporters. Just done 5 laps of the course this afternoon, a light dusting of snow everywhere, and very firm underneath. So running very fast, the two off-camber sections are very tricky, but the sand, although loose on the surface, is frozen hard underneath - so again very fast. Just to check, will someone put up a list of entries before Sunday? Just to make sure entry got there ok. List should be up soon, just being double checked by the commissaire - who was your entry for and I'll check. Marc Austin - junior. Thanks. I'd like to have a look at the course on saturday - is it possible for you to let me know in some way what the course will be? Mark, email me your number and i'll talk you through it.